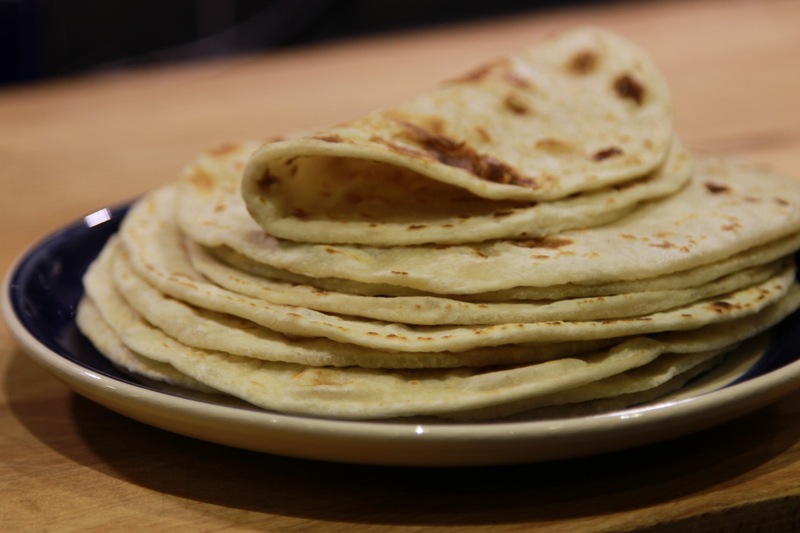 Delicious, fresh, soft, hot roti!! Add the flour, water and oil into the mixing bowl, I should point out that my mum actually mixes it manually – initially stirring in the boiling water with a metal spoon then when it’s a bit cooler, knead by hand until soft and elastic and not sticking to everything. 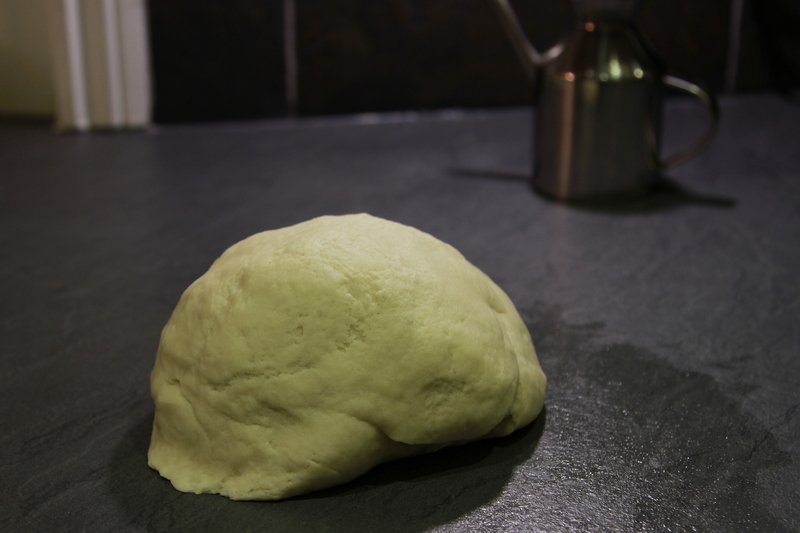 I’m a bit lazy and so I used my KitchenAid with a dough hook attachment. 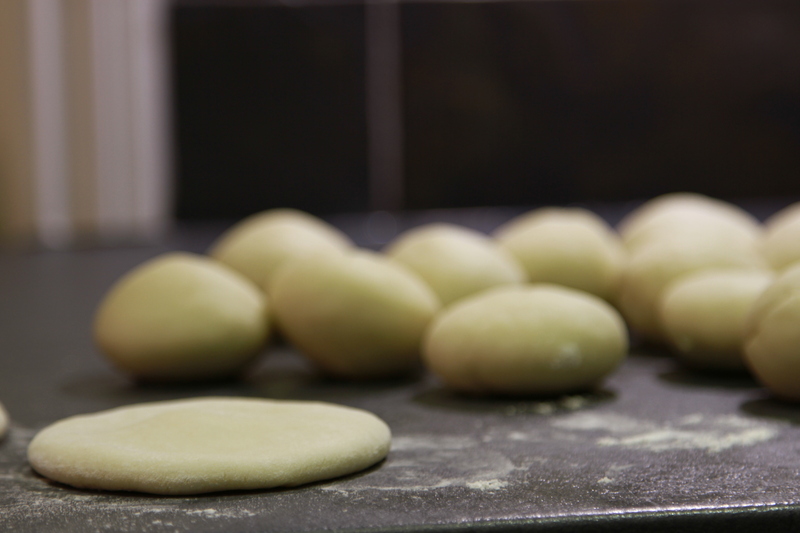 Shape the balls in to circles and then roll into bigger flat circles with a rolling pin on a lightly floured surface. Place on a dry hot heavy based pan or “tava“. Cook on one side for about 30s then turn over and brush the just cooked side with a little oil. Wait about 30s and then turn it over again and brush the other side with a little oil. Can be enjoyed hot or cold – will keep in an airtight container for about 2 days.